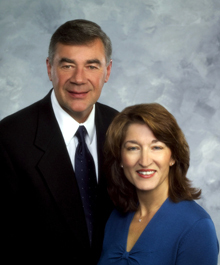 We are a husband and wife team that bring ethical and professional real estate services to Southeastern Wisconsin. We are full time professional sales associates for First Weber's Lake Country Office. When you are ready to build, buy or sell, give us a call. We strive to stay on top of the real estate market - always looking for the best opportunity and the best match so that you don't have to waste time looking at properties that just aren't right for you. We work with all types of properties, including, luxury homes, condominiums, single family homes, vacant land and income property.